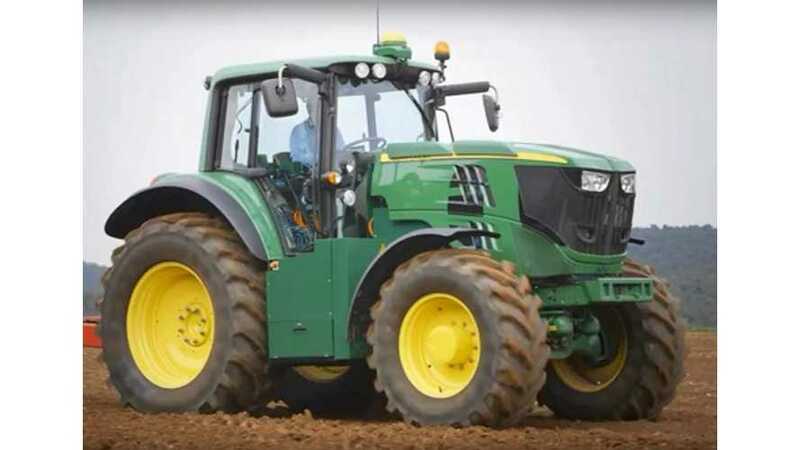 In late February, John Deere intends to present at the French SIMA show in Paris, a very special tractor. It's called the SESAM (Sustainable Energy Supply for Agricultural Machinery), and seems to be the first fully electric tractor. Two 150 kW electric motors can be used together, or as a single drive unit, while second motor to incorporate other fucntionality, like a hydraulic pump.